Picking up the pace with the first draft now; I'm about three quarters through, and writing in a straight line as much as possible. I still make use of asterisks, and addendums, or inserts, but I'm mostly trying to get from one point in the story to the next without thinking about structure or plot points too much. Or even character development - it's amazing what ideas come out when you just write forwards. I think it was in his essay 'On History'. The point is, narrative has only one dimension, getting from A to B, whereas action is solid. That's action not in the Schwarzenegger sense, but in the Aristotelian sense: a fusion of something like character and something like plot. I think when I started writing this, I expected action to flow from my pen, that, if this story was worth telling, it would emerge of its own accord, like those illustrations of Dickens where he's dreaming or bent over a desk and all these characters are flying off he paper. In practice, I'm more inclined to think action only comes from narrative. Or to put it another way, to show something, you have to tell it first, tell it to yourself even (and that's the role of the first draft, as Terry Pratchett says). The work is in removing explication until only it remains. "LTRDSW", as a rather lovely editor's note in this Guardian article describes. 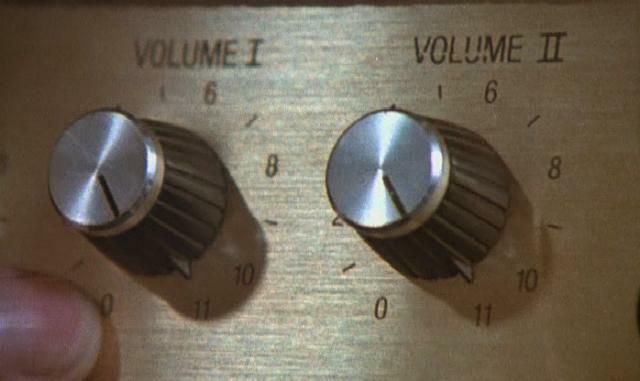 I love "turn up all the knobs to 11". Writing longhand has helped with this enormously - I no longer worry so much about the quality of what I'm writing (there's something about a computer screen that demands finished, polished sentences), and, as a result, not to mention rather paradoxically, the quality ratio is improving. Right now I am focussing on getting to point B. Breadth and depth and height will come in the cut.